only some of the words that describe Arthur Inman." rolls past with majestic sweep and urgency." by turns poignant, bizarre and illuminating." the longest recorded diary in the English language." would be very well-read by a number of people. 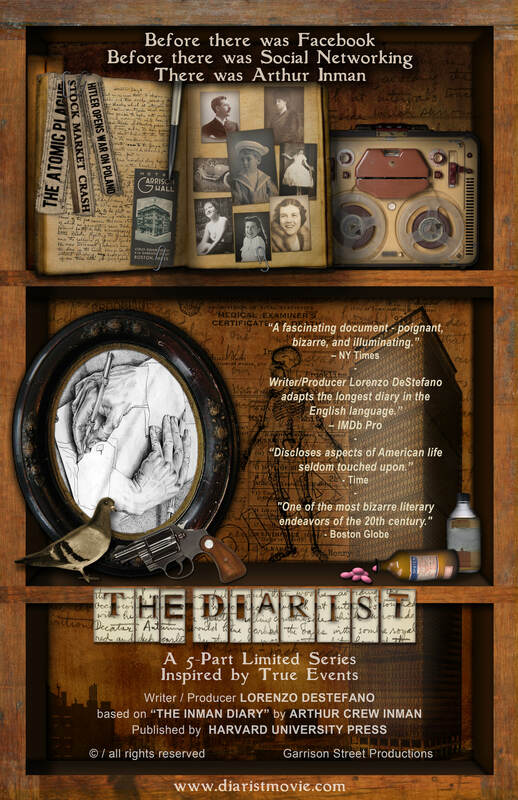 �The Diarist� is the strange but true story of the notorious Boston diarist Arthur Crew Inman. One of the most obsessive humans ever to put pen to paper, Inman was born in Atlanta in 1895 to wealthy but neglectful parents. After being sent away for years to boarding and military schools, he moved north and became a resident of Boston from 1917 until his death in 1963. Simultaneously at war with and hugely fascinated by the march of time, Inman straddled the uneasy divide between the Victorian and the Modern eras. 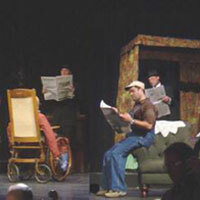 The hub of his life, his inner and his outer world, was apartment #604 in Garrison Hall. This crumbling edifice, still standing at #8 Garrison Street, Back Bay, housed a man who spent 60 years of his life chronicling the flow of history through his fractured but highly intuitive lens. Starting at the age of 8, he wrote what is now acknowledged as one of the world�s longest and most fascinating diaries. © / all rights reserved - Lorenzo DeStefano / Garrison Street Productions, Inc.